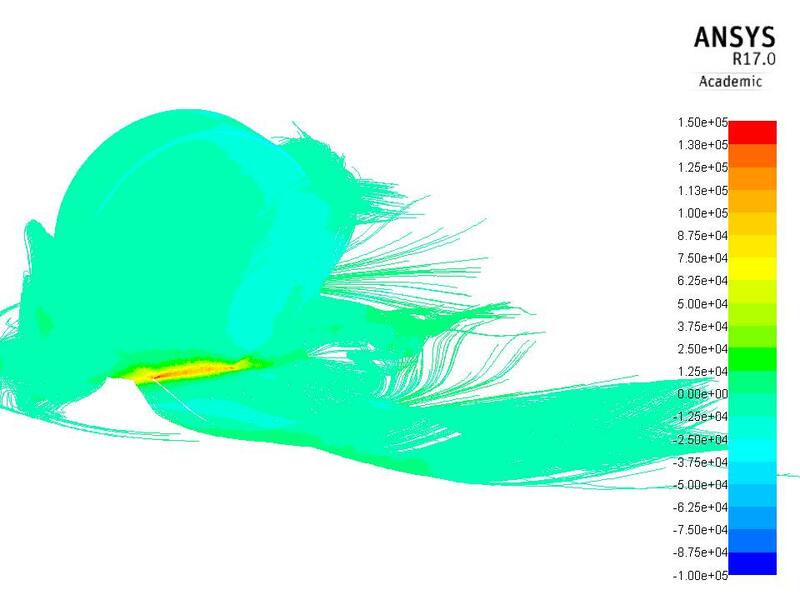 This week at Eagle Works the spotlight shines on Mason McKovich as he tirelessly completes CFD studies in ANSYS to optimize the aeroshell of the car. The aeroshell is a crucial component of the land speed vehicle because it not only protects the vehicle's components and driver but it ensures stability and assists with efficiency during driving. Lately Mason has been focusing on the wheel wells to make sure that no huge pressure pockets are forming and that air will run over the tires and through the wheel wells smoothly.